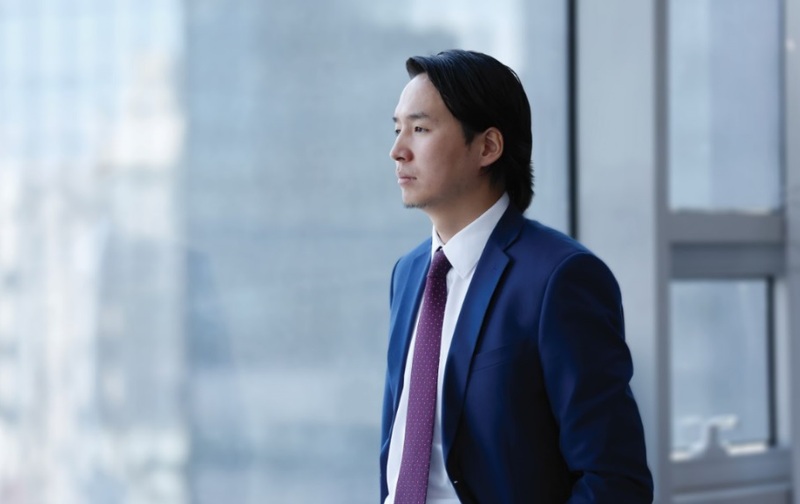 Ts.Purevtuvshin, aiming to make “Mongolian Copper Corporation” a globally competitive company, is spending most of his time planning the way forward. Last year, at the eve of the parliamentary elections, the former Prime Minister Ch.Saikhanbileg announced that 49 percent of “Erdenet” and “Mongolrostsvetmet”, companies previously jointly owned by the Russian Federation and Mongolia, had come back to its home country, causing a scandal. The whole country was paying a close attention to it, and after a number of deliberations at the parliament meetings, the government made a decision to nationalize the companies. “Thereafter, we took the matter to the Administrative and Civil courts. Initial and secondary court hearings ruled that the forceful acquisition of 49 percent of the companies by the government was illegal,” said Ts.Purevtuvshin, who at the time attracted public attention as the deal did. The CEO of “Mongolia Copper Corporation”, Ts.Purevtuvshin is moving forward to bring his company’s competitiveness to the global level. Currently, he is focusing on the company’s short- and mid-term development plans to facilitate sustained growth for the company. “The law must be abided. Mongolia is a global citizen. Our country will grow and play in accordance with the accepted world principles. We cannot behave as if we are in a jungle. As long as there are people who believe that Mongolia will rise, impropriety of a few self-serving populist politicians will fade away. Whatever job one has, he should become an expert in his field. Businessmen should be experts in their businesses, and politicians should be experts in making laws. One should not be involved in both and be mediocre at both. This only hurts the society,” said Ts.Purevtuvshin decidedly. “Mongolian Copper Corporation” is developing plans to increase competitiveness, bring modern technology, introduce international standards, and increase profitability of “Erdenet” and “Mongolrostvetmet”. “Companies that are owned by the governments of two countries operate as if they have no owner. They get stuck in the past. No development, no innovation, no growth. The executives are replaced in each political cycle, leaving no place for a focused long-term strategy. As the government policies change unpredictably, it is hopeless to assume that the company’s strategy will be stable. Problems have accumulated considerably as many trivial, unprofitable projects were approved in the past, and lessons from the past mistakes were not learned. We are focusing on correcting those past mistakes,” said Ts.Purevtuvshin. “Mongolian Copper Corporation” has learned that informing the society and the politicians of the benefits of domestic investments is of paramount importance. “Mongolia chased foreign investors for the past couple of decades. And even though we end up disparaging them, saying that they are swallowing up all our resources, we are not supporting our domestic investors. Instead of bad-mouthing foreign investors we should start promoting our domestic investors who are as important,” he said. He observed that the regulatory bodies’ and the public’s lack of knowledge on new business ideas is causing a public backlash. “Our country’s small economy and small population facilitates quick reaction to any issue. Everything new does not have to be good. However, decisions must be made, and steps shall be taken. The worst decision is no decision at all. Thus, the government shall take the most proper step within the given constraints and move forward. Criticizing the past and living in the past is detrimental to both an individual and a country. Instead of discussing the past for months, or even years, countries and companies look to the future and plan for the long-term. Accordingly, we are planning our next projects and pushing forward,” said Ts.Purevtuvshin. He believes that a country’s growth must be inclusive. “Your world-class achievement can be viewed negatively by the society. It is unfortunate that we have many self-serving people who know how darken the light and lighten the dark at their advantage. Social responsibility shall never be put on the back burner,” he said. Racing with time to accomplish as much as possible, Purevtuvshin believes consistent, fast, industrious, team-oriented, and principled individuals are a solid base for success. Complacency is the enemy of young professionals; you should be always learning, he said. “Starting or acquiring a business is easy. However, sustaining it while providing benefits to all the stakeholders demands immense effort, time, and determination. Our next work is far more important,” said Ts.Purevtuvshin, whose both words and actions are chasing the future.